Ernest H. Shepherd es el artista que ilustro los libros originales de pooh. Milne *el autor*, no estaba muy seguro al principio de haberlo escogido como el ilustrador de sus libros, pero al final los resultados lo dejaron mas que contento. Su trabajo se ha vuelto clasico y es reconocido en el mundo entero. Les dejo el link a una pagina dedicada a Pooh en donde podran encontrar una seccion con las ilustraciones originales de el. Ernest H. Shepherd is the artist who illustrated the original pooh books. Milne was first doubtful as this choice for the illustrator for his books later said he was very pleased with the final results. 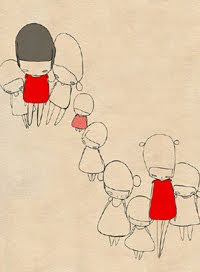 The illustrations are now classics in their own right and recognised all over the world. 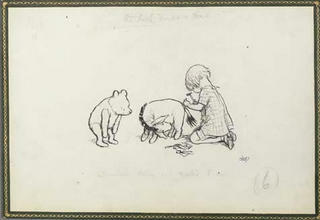 Here is a link to a site dedicated to Pooh, where you can find a section with the original illustrations of him.